Wow, it’s a real trailer! Y’know, one that builds anticipation without spoiling the whole plot? 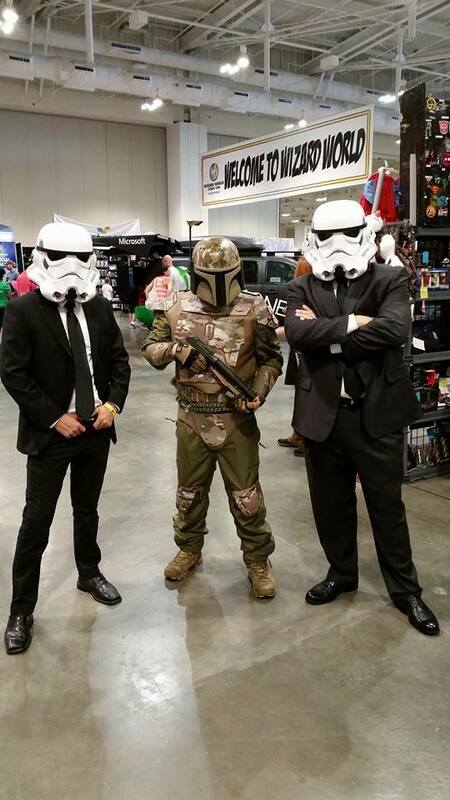 Do you like the new Stormtrooper design, particularly the helmet? 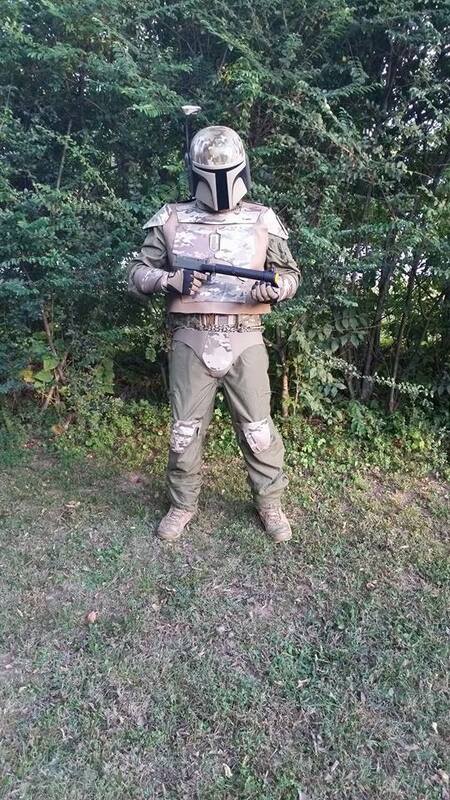 Would you like a high-quality prop replica helmet to wear to the range to which you can attribute any misplaced shots? Well, high-end prop manufacturer Anovos is selling pre-orders on the standard line First Order Stormtrooper helmets. 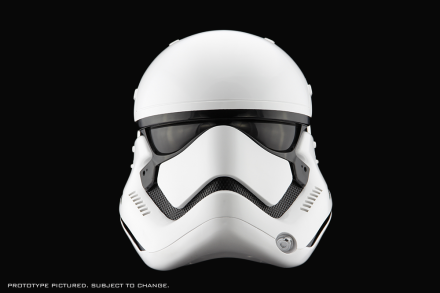 The helmets are derived from the digital files used in the production of the upcoming Episode VII, and they’re constructed of lightweight injection-molded plastic. 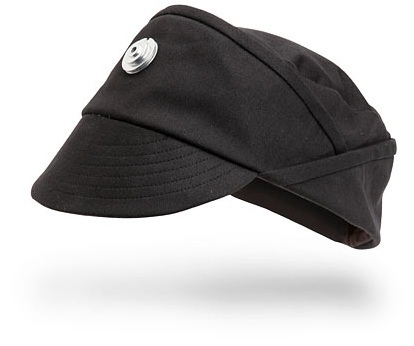 Shipping is estimated to start January 2016, so unfortunately you won’t be wearing these to The Force Awakens when it comes out in theaters, but at least you’ll be set for any upcoming conventions that year. 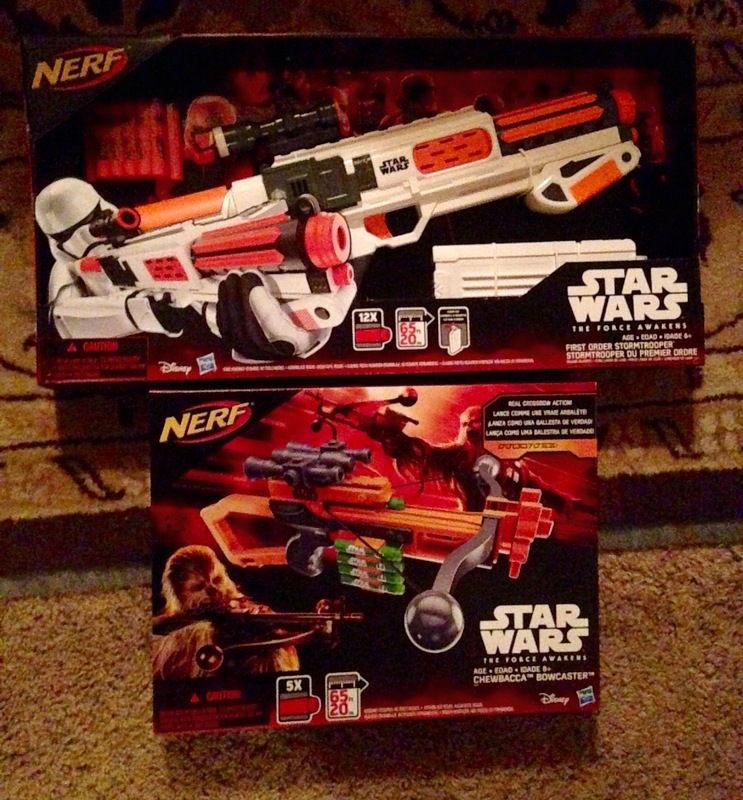 Last Friday, Hasbro released a few new Episode VII NERF blasters as part of the Force Friday toy release. 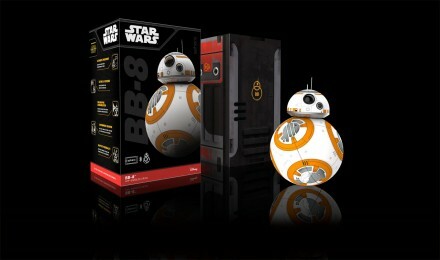 These were available at Toys-R-Us, but they should be available at other stores as well. 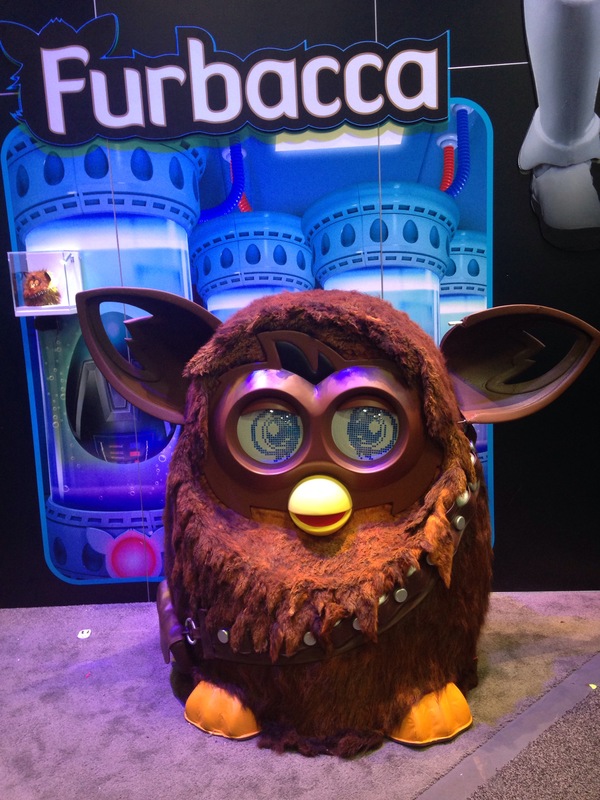 Well, thanks to the magic of licensing, Hasbro will soon be releasing a Chewbacca-themed Furby named, appropriately enough, Furbacca. 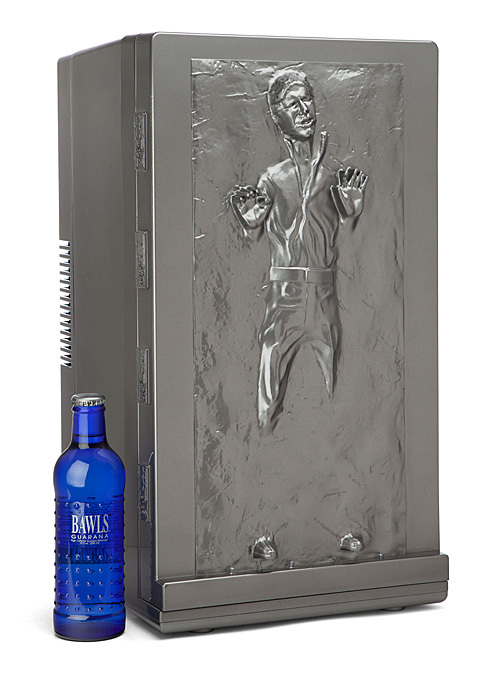 No word on whether the giant sized variant will be available for purchase. Posted in Comic-Con, Toys | Comments Off on Remember Furby? Although I questioned Disney’s decision to allow EA exclusive development rights to all future Star Wars video games, it looks like the team at DICE has crafted one of the best Star Wars video games yet. Star Wars: Battlefront drops November 17th, 2015. The latest in Square-Enix’s Play Arts Kai line of licensed Star Wars figures, this highly-detailed Boba Fett figurine comes in at approximately 10.25″ tall, and is made of pre-painted PVC. It comes complete with the following accessories: Heavy Blaster, Blast Pistol, 2 Knives, Fire Artillery Parts, 2 Jet Parts, and 4 Optional Hand Parts. 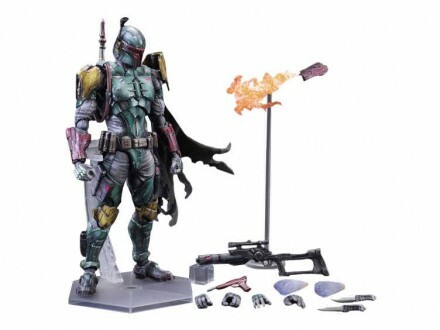 The figure was available for pre-order on Big Bad Toy Store, however those got sold out really quick. The expected release date is sometime in July 2015, so keep an eye out around then if you’re interested. Star Wars Teaser – David Hasselhoff Edit from Smyths on Vimeo. An enterprising individual posted a mash-up video with the Kung Fury theme ‘True Survivor’ playing over footage of the two Star Wars Episode VII teasers. First an awesome trailer for Episode VII, and now this? 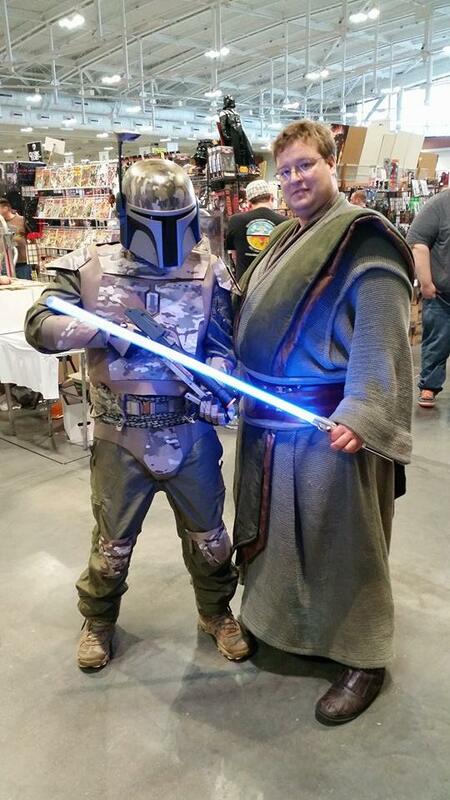 It’s a good time to be a Star Wars fan! Star Wars Battlefront drops November 17th, 2015. I know it’s just a trailer, and as great a trailer it is they’re meant to entice you to go watch the film, but Lucas isn’t directing The Force Awakens, so that’s excitement enough. Star Wars: The Force Awakens drops Christmas, 2015. If you’re not familiar with a Humble Bundle, it’s a collection of digital media, usually video games, literature, or movies, with a price point that is decided entirely by the purchaser. These bundles are available for a limited time, typically two weeks or so. Humble Bundles generally have a baseline offer that can be purchased at any price, including just $1, and feature incentive rewards, where higher paying customers who reach certain money milestones are offered more content. Additionally, many of these bundles have a charitable organization attached to them, and purchasers can choose how much of their donation goes to the charity, the game developers, and the Humble Bundle organization itself. 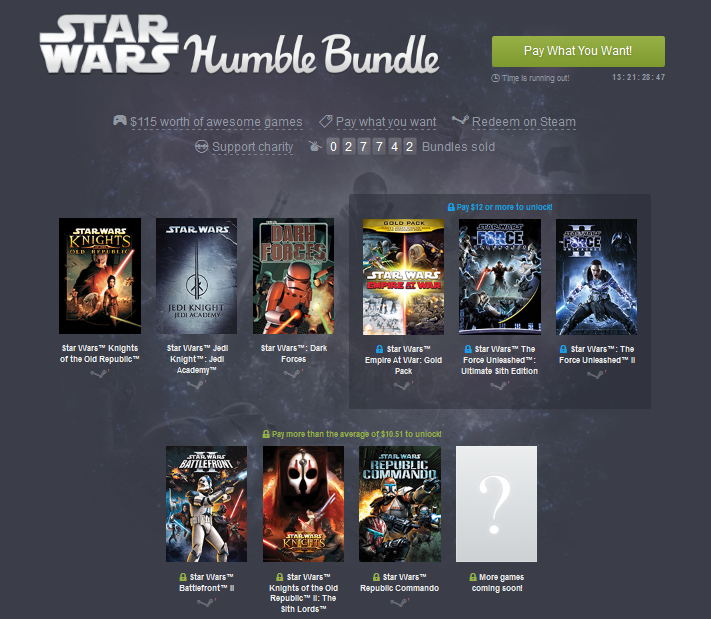 I bring this up because the current headlining Humble Bundle happens to be centered around Star Wars video games, a lot of good Star Wars video games. 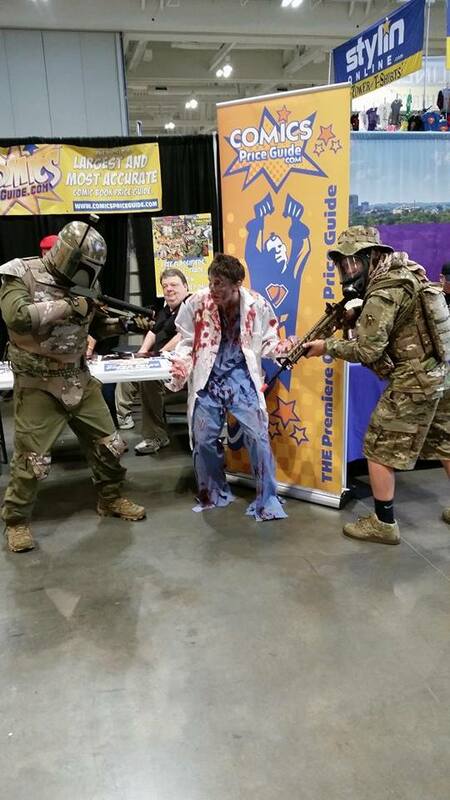 This time, the charitable organization is the U.S. Fund for UNICEF, partnered with Star Wars Force for Change. Only $12 will net you what is currently $115 worth of Star Wars games to be played on your PC, it’s going towards a good cause (your donation can even go 100% to UNICEF if you want it to), and there’s a good chance that even more games will be added to the donation incentives, which you retroactively get if you donate early. It’s just a teaser trailer, and it’s already better than all three prequel movies combined. Star Wars: The Force Awakens comes out December 2015. In case you haven’t heard, Lucas Films (read: Disney) and Vans recently collaborated on a series of Star Wars-themed shoes. 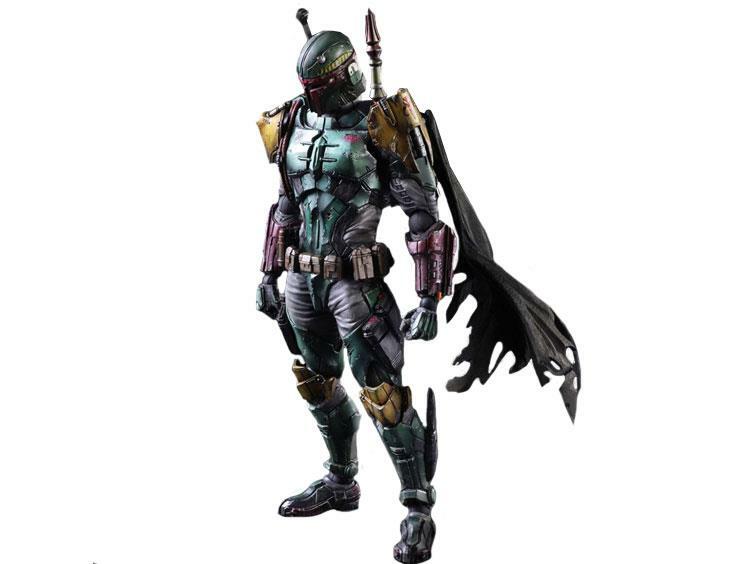 Now, if you’re planning on getting a pair, they’d have to feature the galaxy-far-far-away’s most feared bounty hunter, right? 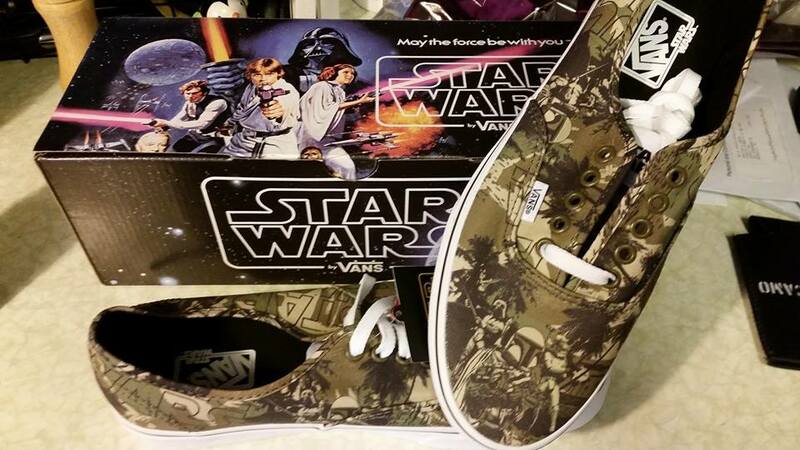 Aside from the presence of the Fett, the shoes also feature Vader, a Stormtrooper, and a vaguely Woodland-esque pattern with trees and Star Wars-logo branding throughout. Pick up a pair online, or at any licensed Vans dealers and shops. Thanks to ‘CJ’ for the tip! Behold the craptasticness that is the Star Wars Holiday Special, complete with the commercials it originally aired with. So bad, it’s still pretty damn bad. Remember, Lucas, this came out in the late 70s. If you were going to wipe it off the face of the Earth, you missed your chance ages ago – the internet never forgets. 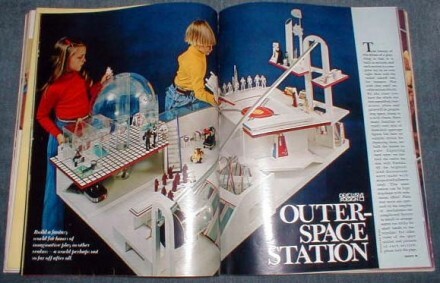 Back in the late 70s, Women’s Day magazine ran an article detailing a DIY space station playset that was perfect for the initial run of Kenner Star Wars action figures. An article the Star Wars Collectors Archive website not only details the history of the playset, but also includes instructions, should you have the desire to build a set for yourself. This is the Clone Fembot, one of Gabriel Dishaw’s sculptures made from the parts discarded electronics and machines. Although he doesn’t deal exclusively in Star Wars themed art, he has an entire page alone dedicated to busts of C-3PO and Vader made from upscaled materials. My personal favorite, the Tank Vader, is up for grabs for those who are interested. Luke Skywalker (Mark Hamill) in his confrontation with Emperor Palpatine from Return of the Jedi, except the Emperor has been dubbed over with sound clips from The Joker (also Mark Hamill). 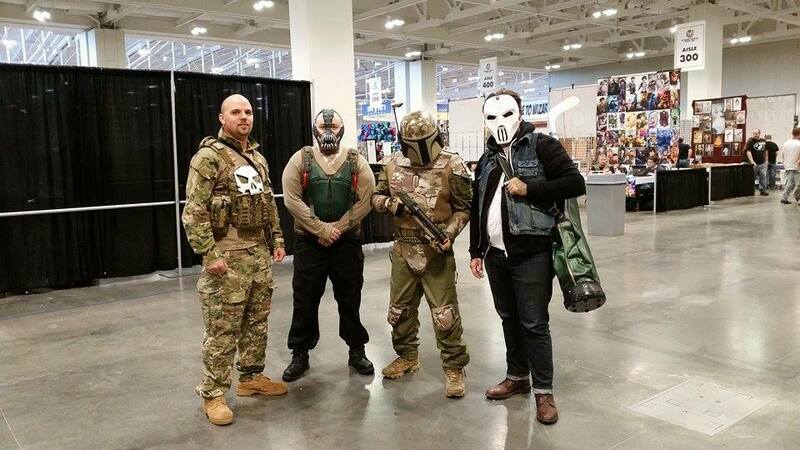 Also, Darth Vader is now Bane from The Dark Knight Rises. 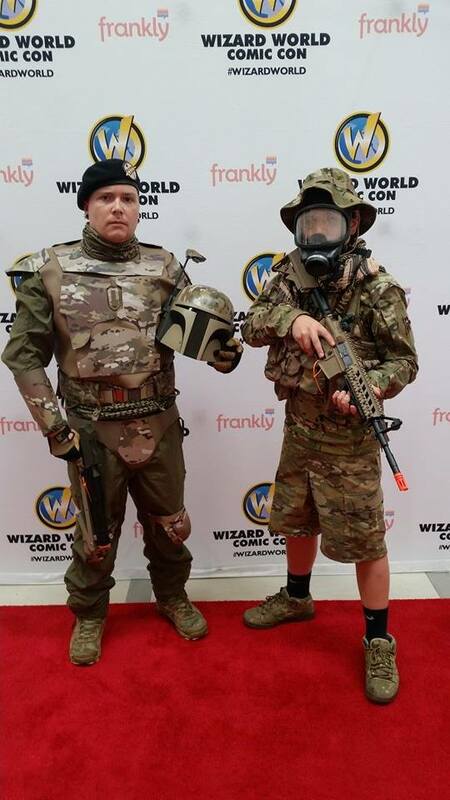 TROOPS is the classic ‘Star Wars’ fan film that parodies COPS; an oldie but a goodie. This video from Cracked.com, my second-favorite internet time-sink only behind tvtropes, explains exactly why Boba Fett is honestly the worst bounty hunter in the galaxy. While I’m a huge proponent of the Fett, it’s hard to argue against anything pointed out in this video, at least in the films; the Expanded Universe does some amazing things for Boba. Having said that, it’s still the EU, and therefore is completely invalid in any serious Star Wars argument by property of essentially being one ginormous grouping of fan fiction, no matter how ‘canon’ it all is.